Medford Oregon Business Directory for Southern Oregon; Jackson County Oregon Business Index for Southern Oregon, Medford, Ashland, Talent, White City, Shady Cove, Central Point, Gold Hill Grants Pass, Klamath Falls, Trail, Sams Valley, Phoenix, Rogue River, Rogue Valley, Jacksonville, Jackson County, Josephine County, Klamath County, Klamath River. Southern Oregon Business - your Southern Oregon place to shop. Rogue Westcom Mammoth Business Directories, Categories in Southern Oregon are found here by choosing the letter the category begins with above in alphabetical order and by name in our Alpha Directory. You can also enjoy a unique Southern Oregon photo tour of Southern Oregon sites and special photographic captures of the Pacific West Southern Oregon Cascades by William Miller Photography and Richard Taylor by skipping from category to category. Thank you for visiting the number one Southern Oregon Business Directory - Shop Southern Oregon! Can't find your business? email us for annual listing quote. You have reached our V business listing categories. You may review our business listings below. Pacific Westcom, Southern Oregon and the Pacific West Coast US Command Center for news, weather, events and business on the Pacific entire West Coast. We also present local area news in Medford, Ashland, Talent, Klamath Falls, Grants Pass and Southern Oregon. We invite you to visit our Medford Business Center, Medford Library, Medford Education centers of Southern Oregon University, Medford Schools and offer the Finest Central Business Internet Directory, Web Host in Southern Oregon. Pacific Westcom 's Pacific West Southern Oregon Western wilderness resources provide the finest vacation spots in all the Pacific North West including Crater Lake Oregon, Rogue River, Sand Dunes of Florence, Oregon Coastal Beaches, Lakes, Streams, Fishing, Camping, outdoor, Skiing, Sports, Water Skiing Lakes, Forests, hang gliding, Wild woodlands, Birds, cartoons, comics, Oregon resources, Oregon streams, Oregon wildlife. Pacific Westcom is the wild west of the Pacific Coast Internet resources for the Pacific West Coast, Southern Oregon and the world. Providing the finest access to cyber intelligence from and for Medford, Ashland, Jacksonville, Klamath Falls, Rogue River, Trail, Talent, Shady Cove, Grants Pass, Brookings, Gold Beach, Keno, Pinehurst, Lincoln, Eugene and Roseburg. If you are vacationing, you may want to visit Oregon Bed & Breakfast facilities that are plentiful in the cities of Jacksonville, Medford, Ashland, Jacksonville, Klamath Falls, Rogue River, Trail, Talent, Shady Cove, Grants Pass, Brookings, Gold Beach, Keno, Pinehurst, Lincoln, Eugene and Roseburg Oregon and can be accessed by our Bed and Breakfast links at the top of this page. Whether it is vacation, travel or retirement, you will find hospitality in northwest and pacific northwest, lodging facilities. Each of the facilities offer gracious hospitality, warm ambiance and all are inspected and approved by Oregon Bed and Breakfast Guild. These places of rest present quiet and comfortable, surroundings. 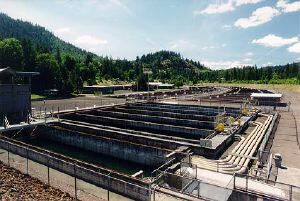 Some Ashland facilities provide access near, Southern Oregon University, just a few minutes drive where fine shops and restaurants are located in Ashland. A short walk to theater, plaza and the Shakespeare Festival. Pacific Westcom provides the West coast with Entertainment updates on Britt, Britt Music Festival, Craterian Theater, Shakespeare Festival. Parking in Ashland is free and plentiful. So whether your stay in Southern Oregon or anywhere in the Pacific West Coast area is for interest in boats, fishing, boats, recreation, rivers, lakes, rafting, sailing, water sports, snow skiing, wilderness back packing or hiking; Or discovering history researching genealogy, climbing mountains rafting rivers, rock climbing, riding horses (horseback riding); studying for higher education in the many Southern Oregon colleges, community colleges and universities; Trying your skills at drag racing at the Southern Oregon National Speedway, auto oval track racing sports, watching or participating in air show, airplanes or gliders, go kart racing, dune buggy trail rides, motor cycling or horse racing in Grants Pass; You will find your interest right at hand on the Pacific West Coast Premiere Directory, Pacific Westcom. Businesses and retirement in Oregon offer a wide variety of benefits that boast the finest retirement living and farm and rural Oregon lifestyles. Real estate opportunities abound with local access to many golf courses, Oregon wineries, museums, theater, colleges, camping locations, campgrounds, parks, beautiful parks and sites such as Crater Lake National Park, Oregon Caves nestled deep within forests and old trees which abound with wildlife and birds. These freedoms are protected by a freedom thinking citizenry which offer advice and articles on protecting each persons rights to private property so to defend, help, and save our national freedoms and to own land and use water for crops. The right to own land, creeks, wet lands, forests and the right to choose which each person feels best for his own environment. Ranchers, farmers, shop keepers, laborer of all kinds defend Americans true rights outlined in the Declaration of Independence Forty Grievances for a free America. These Pacific West Freedom sites offer protection and defense from encroaching , socialism, communism and social government bureaucratic invasion on our most basic freedoms to own property. These organizations and their members keep up the fight for evolving differences of an ever testing socialist bureaucracy and do battle to defend the Declaration of Independence, its 40 Grievances and Bill of Rights within the Constitution of the United but free and Independent States of America. To educate the United States military, state militias, army, navy, federal rangers, US army rangers, local city and county police, state police and officials of the Bill of Rights, Declaration of Independence our first right and duty, the Grievances within that document that define what freedom is not and the opposite of those which define what freedom is. Southern Oregon Business for Medford Oregon, Ashland Oregon, Talent Oregon, White City Oregon, Shady Cove Oregon, Central Point Oregon, Gold Hill Oregon, Grants Pass Oregon, Klamath Falls Oregon, Trail Oregon, Sams Valley Oregon, Phoenix Oregon, Rogue River Oregon, Rogue Valley Oregon, Jacksonville Oregon, Jackson County Oregon, Josephine County Oregon, Klamath County Oregon, Klamath River Oregon. Southern Oregon Business, your Southern Oregon place to shop. Sponcor American Patriot Party, Oregon Patriot Party. These organizations and their members keep up the fight for evolving differences of an ever testing socialist bureaucracy and do battle to defend the Declaration of Independence, its 40 Grievances and Bill of Rights within the Constitution of the United but free and Independent States of America. Categories are found here in alphabetical order and by name in our Alpha Directory. You can also enjoy a unique Southern Oregon photo tour of Southern Oregon sites and special photographic captures of the Pacific West Southern Oregon Cascades by William Miller Photography and Richard Taylor by skipping from category to category. Thank you for visiting the number one Southern Oregon Business directory! Serving the US West Coast States of Alaska, Canada, Washington, Oregon,California and Mexico. US West North to US West South, we have the informationyou need! Just take a look at these sites at your finger tips! CDF Patriots Directory - If you do not see the above control header, Click Here first for This Site's Control Frames and Intro to CDF the Civil Defense Force Command Center CDFCC. The only True Freedom and True Patriot Tax - Do not confuse with any other. This Tax System removes the heavy burden and bureaucracy associated with TaxationÕs present Tax implementation and Tax collection. Do not be fooled by scams such as the Fair Tax, Equal Tax, Free Tax, Patriot Tax and other so called new systems of Taxation. Removes the IRS and places the States and Counties in Full Control. Green Springs Character License 1 Dipo the Dinosaur. Green Springs Character License 2 Twiple the Bright Yellow Bird. Green Springs Character License 4 Sqwalker the Ostrich. Green Springs Character License 5 San the Snail. Green Springs Character License 6 Woyb the Worm. Green Springs Character License 7 Snug the Slug. Green Springs Character License 8 Breadmaker Turtles, Wheat, Wholesome and White. Green Springs Character License 9 Nuts the Inventor. Green Springs Character License 10 Snick and Rittle, a snake and his rattle. Green Springs Character License 11 Tubs the Turtle. Green Springs Character License 12 Andy the Ant. Green Springs Character License 13 Bobby Bear. Green Springs Character License 14 Camelot Caterpillar and Curt the Chameleon in Caterpillar Candy Cocktale. Green Springs Character License 15 Dee the Damselfly and Darnel the Dragonfly in The Dragon and the Damsel. Green Springs Character License 16 Ebert E. Ermine in Eight EÕs. Green Springs Character License 17 Flamingos, Fish, Pheasants, Frogs, Ferrets, FallowFawns and Frog Feet in February Fracas. Green Springs Character License 18 Gary Grouse and Glen Gladious Gator in The Gator and the Grouse. Green Springs Character License 19 Herbert, Hemit and Hugo Hog in Hog Holiday Hoedown. Green Springs Character License 20 I the Fly and Imil in I the Fly. Green Springs Character License 21 Jim, Jethro, John, Jesse, Josh, Jeff, Jamie, Joseph, Jake, Justin and Joey Johnson in Jerboa Juneberry, Jelly Berry Jam Jamboree. Green Springs Character License 22 Katie the Kangaroo, Citchy the Cat and the Kangaroo Rats in Kites and Kangaroos. Green Springs Character License 23 Lu Lu Llama and Lorilie Llama in Limes, Lemons and Llamas. Green Springs Character License 24 Moose, Mastodons, Mammoths, Mammals and Marbles in the Mysterious Marble Mountain. Green Springs Character License 25 Norman Newt and Newman Nuthatch in Nutmegs. Green Springs Character License 26 Obrian Opossum, Olga Opossum, Oranges, Orange Blossoms and Otters in October Opossum. Green Springs Character License 27 Paul Porcupine, Pete Porcupine and Pauline Porcupine with Petunias in Porcupines and Petunias. Green Springs Character License 28 Q Quetzal and Kay Quetzal in Q the Quetzal. Green Springs Character License 29 Ruben Russle the Rabbit in Red Ripe Rutabagas. Green Springs Character License 30 Samuel Sheldon Sapsucker, Sanford the Sardine and Steve the Shark in Seemingly E - Sea. Green Springs Character License 31 Tookee Toucan, Teto the Tortoise, Tobias Timothy Turtle and Tish the Tadpole in The Turtle and the Tortoise. Green Springs Character License 32 Unger the Umbrette and the Urchin in The Umbrette and the Urchin. Green Springs Character License 33 Vivian Yvonne Vanessa the Vixen and Virgil the Vole in Vivacious Vestige. Green Springs Character License 34 William Wilfurd Waxwing Wayne Witiwer Warbler in The Wayward Waxwing and the Whimsical Warbler. Green Springs Character License 35 Yellow Bellied Bunting and Yellow Caterpillars in The Yarn of the Yellow Bellied Bunting. Green Springs Character License 36 Zena the Zebra, Xylophones, the Xiphoid Xerus and Zithers in Zebra from Zambezi. Green Springs Character License 37 Knobze and Snobze the Detectives. Commercial Properties: Santa Barbara, California Commercial Real Estate Property, Commercial Lots, Commercial Land, Commercial acreage, Commercial Rentals, Commercial Properties. Los Alamos, California Commercial Real Estate Property, Commercial Lots, Commercial Land, Commercial acreage, Commercial Rentals, Commercial Properties. Santa Maria, California Commercial Real Estate Property, Commercial Lots, Commercial Land, Commercial acreage, Commercial Rentals, Commercial Properties. San Francisco, California Commercial Real Estate Property, Commercial Lots, Commercial Land, Commercial acreage, Commercial Rentals, Commercial Properties. Los Angles, California Commercial Real Estate Property, Commercial Lots, Commercial Land, Commercial acreage, Commercial Rentals, Commercial Properties. Santa Ynez, California Commercial Real Estate Property, Commercial Lots, Commercial Land, Commercial acreage, Commercial Rentals, Commercial Properties. Los Olivos, , California Commercial Real Estate Property, Commercial Lots, Commercial Land, Commercial acreage, Commercial Rentals, Commercial Properties. Zoning and other Regulations that obstruct truly free enterprise but for those who can purchase or manipulate them are a bane to true liberty and aboveall other factors in this country create unemployment. True American Freedom begins with education of the Declaration of Independence and the 40 Grievances that define 40 definitions to recognize tyranny in government.Have you read them? Oregon Patriot Party of the American Patriot Party and CDF, educating true freedom and justice, one Patriot at a time. Redding California Exclusive Homes, Real Estate, Land and Properties. Jenny Creek PLC Protecting Private Property in Oregon and the US. The Civil Defence Force Educating Citizens on True Freedom One Patriot at a Time.